GOVERNOR CHARLES BAKER acted prudently in pulling the plug on a scheme to relocate the state Department of Transportation from its headquarters in bustling Park Plaza to a long-vacant Roxbury lot known as Parcel 3. The half-baked plan, inherited from former Governor Deval Patrick, may have been well-intended; its goal was to revitalize a struggling neighborhood with a $350 million construction project and the influx of state employees. But the new administration concluded that the expense and upheaval couldn't be justified, especially in light of a $1.8 billion budget shortfall. A view of Parcel 3, the long-vacant property at Tremont and Whittier streets in Roxbury that years of government plans and proposals have not succeeded in bringing to life. Halting an unrealistic top-down proposal was a no-brainer. The real challenge is to unleash the entrepreneurial energy to stimulate better ones — from the bottom up. This wasn't the first failed attempt at a grand scheme to develop Parcel 3, which lies near the intersection of Tremont and Whittier streets. The Boston Police Department headquarters went up across the street in part to jump-start economic activity in the area. As far back as 1985, then-Mayor Ray Flynn's administration argued that the investment in a new police headquarters would lure prospective builders and businesses as they realized that Roxbury was a sound investment. A few years ago, former Mayor Thomas Menino's administration thought it had persuaded Partners HealthCare System, the state's biggest medical network, to establish its administrative and back-office operations at the Roxbury venue. When that fell through, hopes for anchoring "Tremont Crossing," the master plan to develop 1 million square feet of leasable space for retail, residential, and cultural use, switched to focus on BJ's Wholesale Club, which is reportedly aiming to build a 90,000-square-foot store on the site. Here's hoping for good news, but don't uncork the champagne just yet. As the Boston Globe noted in December, "the Tremont Crossing project has suffered fits and starts over the years." Meanwhile, the land lies empty. And there's more vacant Roxbury land a few blocks away, where Parcel 9 on Melnea Cass Boulevard has been touted as the site of a $42 million Marriott hotel complex. The project had been strongly pushed by City Hall — until politics and special interests intervened. Several city councilors have declared their opposition to the plan because the hotel isn't expected to be unionized. Apparently they are less troubled by the continued economic stagnation in their neighborhood than by the prospect of a commercial development that isn't organized exactly to their tastes. Candidates for office talk endlessly about their "plan" for economic growth, as if jobs and businesses and markets spring to life at a politician's say-so. But that's a delusion. Government officials and their small circle of influencers are not omniscient. Even with all the goodwill in the world, they are no more fit to determine the most productive use of a parcel of land than any other group of interested citizens. State and municipal authorities may have the power to spend millions of taxpayer dollars, but their judgment, like everyone's, is fallible. Boston is replete with examples of what can go wrong when politicians put themselves in charge of a neighborhood's economic growth and development. The bulldozing of the West End. The elevations of the Central Artery. The transformation of a lively Scollay Square into the dead zone of City Hall Plaza. Years of central planning haven't brought Parcel 3 or the empty stretches of Melnea Cass to life. Instead of expecting government to have all the answers, why not reduce the government's role, freeing up entrepreneurial space for others to come in with ideas of their own? Beacon Hill and City Hall impose so many barriers to growth — sales, income, property, and capital-gains taxes; minimum- and prevailing-wage laws; zoning restrictions, vending permits, and occupational licenses. These can be difficult hurdles to surmount even in flourishing towns and neighborhoods. In areas plagued with poverty, poor schools, crime, and welfare dependency, they can be impassable. 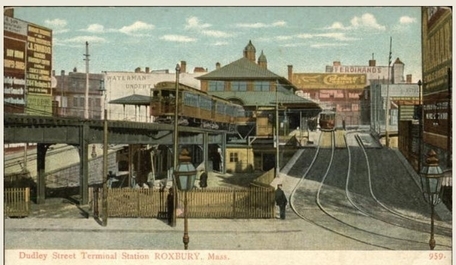 Dudley Square in Roxbury, back when it was picture-postcard material. 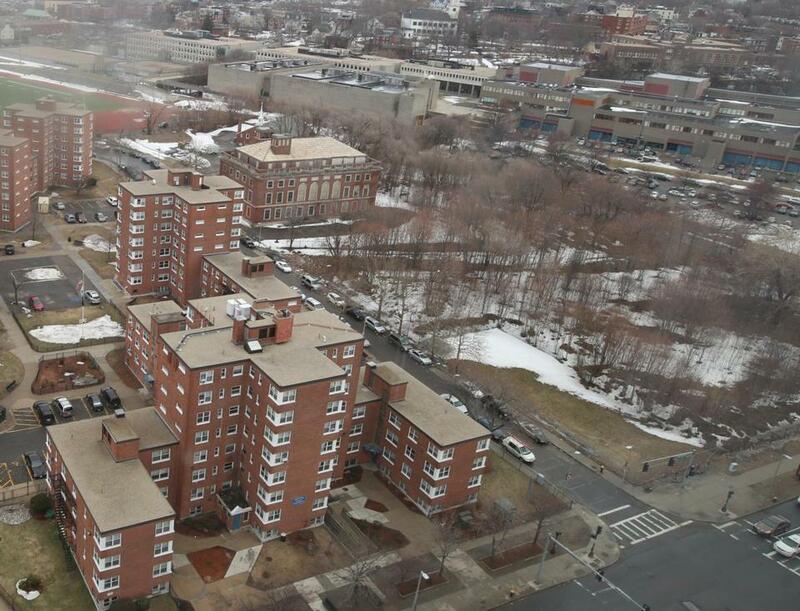 But imagine what Roxbury might become if, for the next 10 years or so, all state individual income and sales taxes within the neighborhood were reduced to 2 percent, property taxes were halved, and long-term capital-gains taxes were suspended. Imagine dropping the corporate income-tax rate to zero for any firm operating in Roxbury, and allowing Roxbury-based employers and employees to deduct their federal income taxes from their state income-tax returns. Imagine lifting all but essential zoning restrictions, and imposing no wage and hour rules more stringent than those required by federal law. Imagine a hyper-streamlined permitting process that came with a guarantee: A single day is all you will need to complete the government paperwork required to launch a new company. In short, imagine turning Roxbury into a true free-enterprise zone — one that doesn't pin its hopes on government master plans, but on grassroots investment and innovation. Rather than betting on favorites or trying to pick winners, the state should get out of the way and allow the success stories emerge. Let Roxbury's workers and businesses keep more of their own money, and they're apt to do marvelous, productive things with it. Can empowered individuals outperform "helicopter" government? Set Roxbury free, and we'll find out.